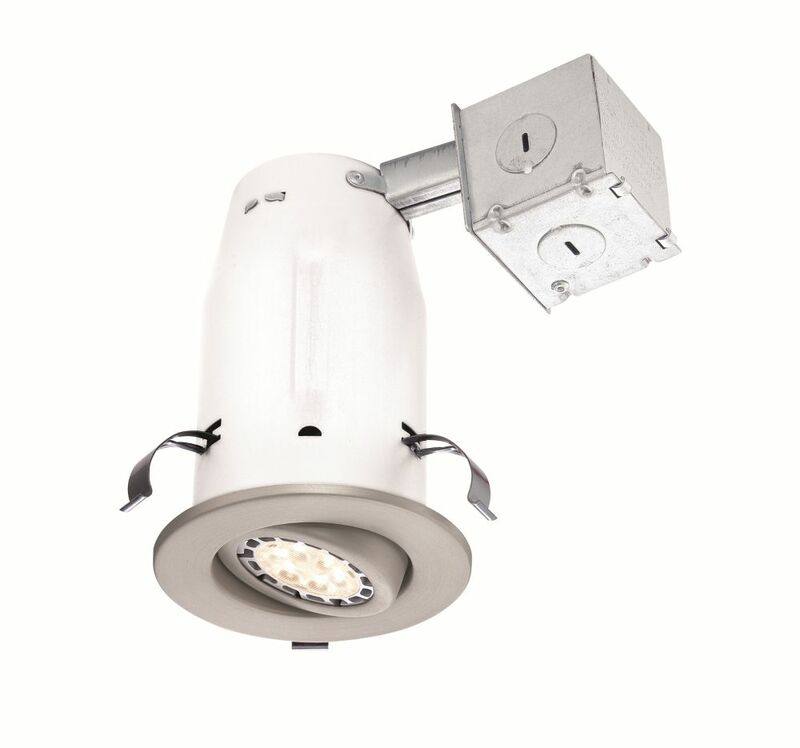 The Commercial Electric 3 inch Non-IC Recessed Brushed Nickel Gimbal LED Lighting Kit includes Non-IC GU10 socketed remodel housing and a Brushed Nickel gimbal trim. Included in this kit is a GU10 7.5-Watt LED bulb. Adjustable tilt light up any desired focal point of the room. Compatible with dimmer switch for different illumination needs and increased energy saving. Brushed Nickel Recessed Non-IC Gimbal LED-Lighting Kit - 3 Inch The Commercial Electric 3 inch Non-IC Recessed Brushed Nickel Gimbal LED Lighting Kit includes Non-IC GU10 socketed remodel housing and a Brushed Nickel gimbal trim. Included in this kit is a GU10 7.5-Watt LED bulb. Adjustable tilt light up any desired focal point of the room. Compatible with dimmer switch for different illumination needs and increased energy saving. Brushed Nickel Recessed Non-IC Gimbal LED-Lighting Kit - 3 Inch is rated 5.0 out of 5 by 2.